A paranormal private investigator receives a frantic call from her reporter friend Helen, who pleas in a terrified voice for her to leave immediately for the coastal town of Serpent Creek. Urged by her friend's desperate request, the detective arrives at her destination only to find no trace of Helen. Strangely enough, no one from the sleepy town seems to remember seeing the blonde reporter. Weirder still, the town's streets are crawling with snakes, the citizens seem to be sleepwalking through life, and the ground shakes with violent tremors. Can the detective save her friend, reveal the corruption and hidden agendas of the town's citizens, and stop an evil plot to bring the Snake God back to our world? 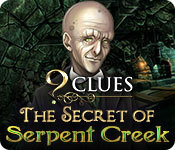 9 Clues: The Secret of Serpent Creek is rated 4.1 out of 5 by 102. 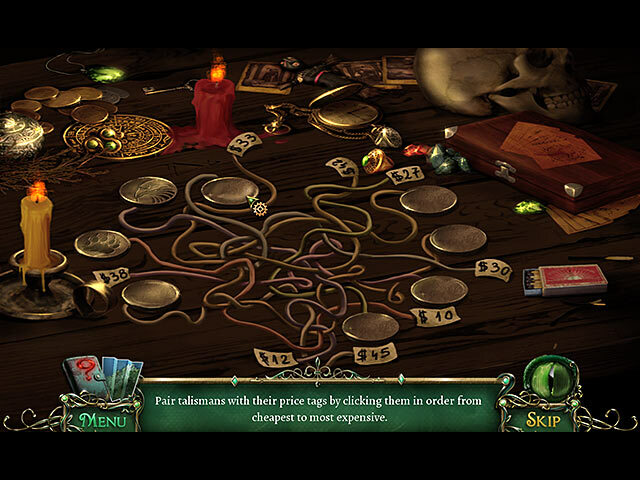 Rated 5 out of 5 by henryhaynes from Serpent Creek The first installment in the 9 clues series is primitive and unlike today's HOPA games in the fact it is very unique and fun! It is very good at providing a dark and mysterious atmosphere, and has a great storyline. Some scenes can be challenging but easily overcome with the help of the map and the hint button! Rated 5 out of 5 by biscuitsmama from AN OLDIE BUT A GOODIE! A TERRIFIC WHODUNNIT GAME Going back and playing older HOP games can sometimes be an eye-opener. While going through my list of games I didn’t really remember playing this one so thought I would give it a try. Well what a surprise. Although the graphics are done in a cartoonish style they are nevertheless crisp, clear and colorful. The game was published by an excellent top developer who has created some terrific games and series in the past. Since I am writing this review a lot later than others that have been posted I’m not going to go into the storyline but will simply say that this is definitely a not that you shouldn’t miss. Once I started playing the game, I couldn’t stop and enjoyed every minute. I have played hundreds of HOPA games and recently they have been crank ‘em out, cookie-cutter clones of every other game. Because of my boredom with these newer games I thought I would take a look back and I am so very happy that I did. 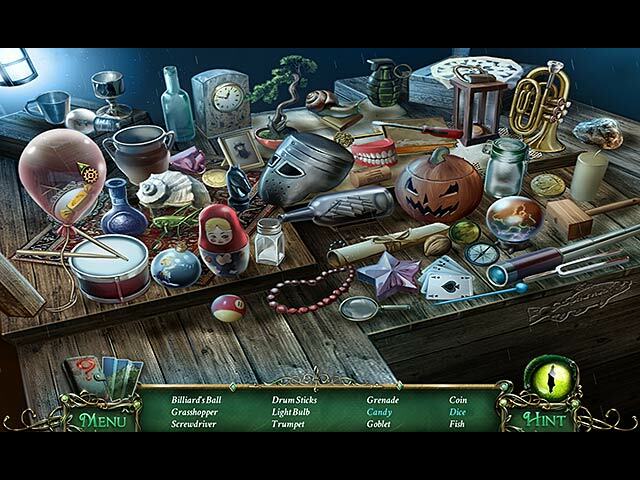 9 Clues The Secret of Serpent Creek is an excellent whodunit mystery game. Please give the demo a try to see if you will enjoy this game as much as I do. Happy gaming! Rated 5 out of 5 by alphafem from A Game For Beginners I bought this game to play along side my twelve yr old grandson...a reptile lover. The HOP's made him focus, and actually SEE what he was looking at...as opposed to just quickly scanning over. He did have questions such as "What is a 'rapier'? ", etc. This was good, as he was asking questions and learning. The game puzzles were interesting to him, and he felt quite a sense of accomplishment at the end of every one. Some we did together. Some he said, "No Gramma. I will do this one on my own." Bravo!! *I nod proudly* I had him decide the ratings for himself. Overall, it would be a great game for beginners at HOPA's of all ages. Quality time...your's alone...or to share...is where it's at. Enjoy! Rated 5 out of 5 by Boomer1097 from Fun Game I really enjoyed this game. You play as a detective trying to help a friend. You travel to Serpent Creek and then the fun begins. The graphics are nice, almost like an old comic. The HOS are easy to complete and the mini games are fine. The voice overs and music are well done. The cut scenes introduce various characters and advance the story. There is a journal that contains objectives, character information and clues. There is an interactive map that shows where you have items to complete. This game is relatively straight forward and easy to complete, but it is fun to play. If you are looking for a game that isn't overly complex, this is an excellent choice. Rated 5 out of 5 by MountainMama915 from Don't let the snakes scare you away from this game! When I first saw this game and read the reviews I didn't think it was for me because I hate snakes!! A couple of reviews gave warnings saying if you don't like snakes this game may not be for you, had me thinking there were snakes EVERYWHERE! LOL But I also noticed that almost everyone recommended the game so I went ahead and tried it out. So glad I did as this is a great game in my opinion! I loved it! Absolutely loved all the charactors and how often they spoke to you. Most games I've played the charactors hardly ever communicate with you and if they do it's maybe once or twice throughout the whole game. It makes it feel more real when you have all this interaction, at least to me it does. I loved the story and how everything just moved along so smoothly, I didn't have any problems with the game whatsoever. Well, I did have one little problem ... I was sad when it was over! This is only my 3rd time giving a review and I'm not talented at it like several others are but I just wanted to let everyone know what a great game this really is. Don't like snakes? Don't blame you but please don't let that stop you from playing this game. They're only cartoons and there's actually not very many that shows up anyway, maybe 4 or 5 throughout the whole game. I gotta go now as I went ahead and bought the second 9Clues game and I can't wait to get started on it! Happy gaming everyone! Rated 5 out of 5 by BayouWoman from Great fun! I just finished playing this game and had a great time! My only complaint is that it is too short, I didn't want the fun to end! Rated 5 out of 5 by EsthOr from First review because of this game! This game was a great deal of fun. I was bored all day and tried to find a game I would like. I began to play 9 Clues and got sucked in the game right away. Fun Factor The game is a lot of fun with just the right amount of puzzles and cutscenes. Visual/Sound The visuals and sounds are well done. There are small sounds that make this game complete. The voices aren't anoying for me, they really make you want to listen to the cutscene. The visuals were just right for my (not to good) laptop. Level of Challenge There are three different levels of challenge in this game. You can pick just the challenge that you would like! Storyline The storyline in this game is great. You get a call from an old friend and get sucked in the game right away. All the things you do make sense. You book yourself a room, but strange things happen. Note: What I really like about this game, is that every person is a suspect! I suspected everyone and did not trust anybody. I also really like the "Detective mode" where you have to find clues. I truly recommend this game to anybody! Have fun. Rated 5 out of 5 by Scobeaux from Excellent Plot-Driven Game This is a welcome departure from the usual kind of game where you wander aimlessly around collecting things with no idea of when or why you might need them. In this game there is a mystery to solve and everything you do is directed toward that end. The plot is certainly unrealistic, more like horror/science fiction rather than fairy tale style (another welcome change) but within its universe it makes perfect sense and there was very little in the way of totally illogical actions. I really wanted to find out what happened while at the same time not wanting it to end.The graphics are cartoonish rather than realistic but they are effective and there was a nice range of different locations. The voice acting is much better than average, as are the sound effects and the suitable but unobtrusive music. 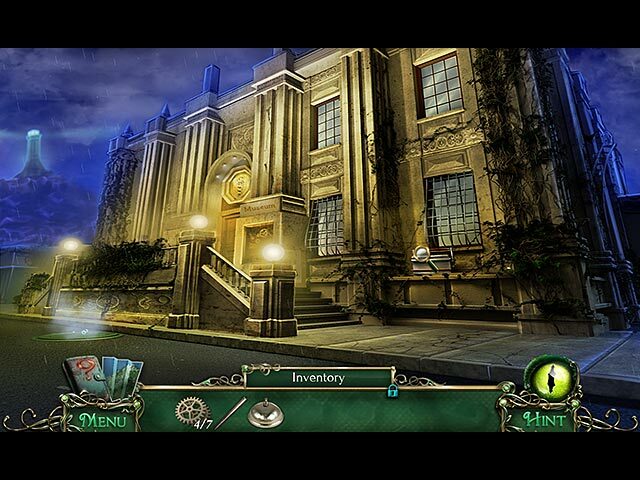 The puzzles and the hidden object scenes were on the easy side, and there is a map. There was very little toing and froing. It was a good length. I would love to see more games like this, with attention given to the story rather than just to the graphics and the morphing objects and collectibles and so on.